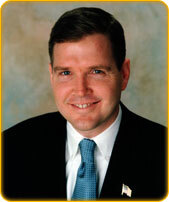 State Senator Michael J. Doherty. Arts Access enables people with disabilities to create fine art, assisted by professional artist-facilitators. The NJSCA grant was given for “general program support.” It was one of nearly 800 grants given to arts organizations throughout the state in July. This entry was posted in Uncategorized and tagged New Jersey State Council on the Arts, Senator Michael J. Doherty. Bookmark the permalink.